One character to rule them all. The importance of understanding your character and it's disciplines. I don't have to explain in much detail to you how unique the crafting system is in Guild Wars 2. 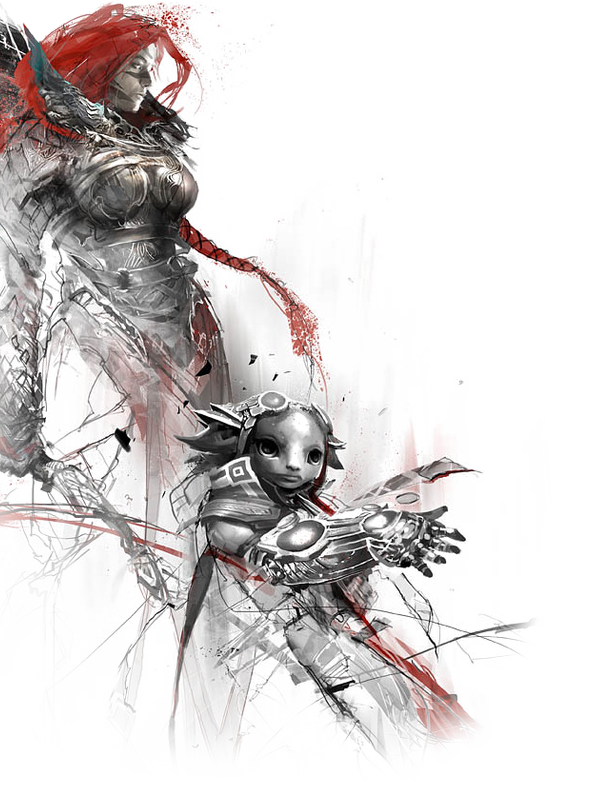 (There will be a plethora of information on the Crafting system in the Free Guild Wars 2 Gold Guide) By now you must have heard about it's depth. It's depth lies within it's discovery system and even the way you go about obtaining crafting materials. There are a ton of threads on the different fan site forums where are they wondering about leveling up their character by only doing crafting. Through reading these posts it became obvious to me that many people didn't know one ultra important feature that the game has pertaining to this crafting system. The amazing thing what ArenaNet has done in Guild Wars 2 is that they are integrating all of your characters together. You share one bank for all of your characters and, even better than that, you share disciplines as well. This means that there is less of a focus on getting alternate characters leveled up. Actually, there is no emphasis if you don't want there to be. You can do everything that you need on one character. It is just an issue of turning your disciplines off and on when you need them--for a small fee. That fee is higher depending on how high you've gotten your skills to. The way this system is set up you can level all of your disciplines on a single character; however, you can only have two active at a single time. I also put the emphasis on choosing two important disciplines for your character that can compliment your playing style while still making money. Now some of you may ask why you should worry so much about your disciplines if you can have them all. That is true--you can have them all, but you will never get them all leveled up at the same time and still get out in front of the curve to make serious gold on day one. That is why you still want to start out by getting two of your disciplines maxed out as fast as you can. You can then use your profits from those two to powerlevel all of your other ones. This will be the most efficient way to obtain early capital for future success and leverage in the markets you are in. Eventually you are going to want all of your disciplines maxed out, but the goal when the game launches is to get the most beneficial ones for both you, and making gold, leveled up as quickly as you can. The markets like bags, early weapons and armor are going to be big in the first days. So getting those disciplines which provide that to a point where you can supply that to players will be a fantastic way to catch some easy gold and get the jump on your competition. When you get that jump you can then use the same character and powerlevel your other disciplines on the same character. If you do that you are going to be significantly farther along that everyone else that doesn't know this bit of information. You can worry about alternate characters when you've got all your disciplines maxed out. Until then you should just use one for maximum efficiency. This may not sound like the most fun way to play the game and I understand that. I am a very big proponent of playing the game in a manner that you will find the most enjoyable, but from the standpoint of wanting to make a ton of gold this is the most effective road to take. Each disciplines that you max out will make you more and more gold which just makes all of your disciplines that you've yet to level that much easier.